Privacy International is one of the world’s leading privacy organisations. It was founded in 1990 and has active associates in over 20 countries. Its mission is to defend the right to privacy across the world, and to fight unlawful surveillance and other intrusions into private life by governments and corporations. The role of the Senior Legal Officer is to develop and implement Privacy International’s litigation strategy as part of the Big Brother Incorporated project, in collaboration with the Head of Research and the Head of International Advocacy. The successful candidate will report to the Head of Research. • To raise worldwide awareness of the dangers of surveillance technologies and the ethical failures of the surveillance industry. • To ensure that export controls are put in place in Europe and the US to restrict the sale of surveillance technologies to repressive regimes. • To seek redress for those who have suffered harm as a result of Western-manufactured surveillance technologies. The research programme 'Localising Human Rights' of the Law and Development Research Group of the University of Antwerp analyses the effectiveness of human rights for marginalised communities in non-Western societies. This is a long-term interdisciplinary project combining insights from law, political and social sciences. An international workshop (2007) and international conference (2008) were held in Antwerp. 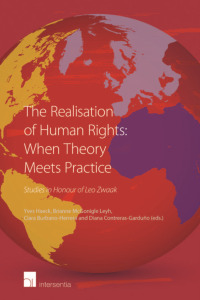 A conference book entitled 'The Local Relevance of Human Rights' was published in 2011 with Cambridge University Press. The seminar 'Localising human rights: towards empirical research' of 14 March 2013 aims to move beyond theoretical analyses and desk studies. It brings together experts from different disciplines to share experiences on empirical human rights research. It will function as a kick-off for various case studies on how rights holders navigate through the complex architecture of human rights law, to be carried out in the Global South (China, India and DRC), at institutional level (Human Rights Council) and in Europe (foreigners’ perspectives). 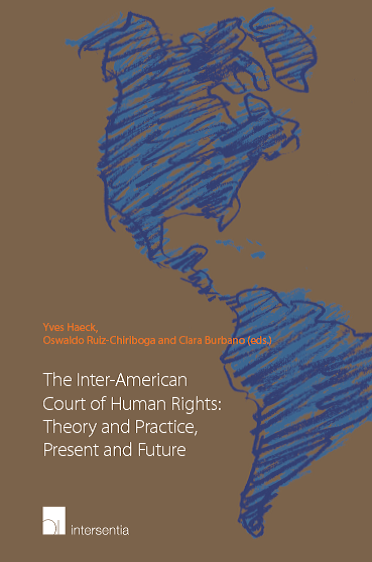 These case studies are embedded in Work Package 2 'Analysing users’ trajectories in human rights law' of the IAP 'The Global Challenge of Human Rights Integration: Towards a Users’ Perspective' (HRI). HRI is an Interuniversity Attraction Pole (IAP) funded by the Belgian Science Policy Office (2012-2017). The research network aims to study human rights law as an integrated whole from a users’ perspective. It consists of Universiteit Gent, Université Libre de Bruxelles, Vrije Universiteit Brussel, Universiteit Antwerpen, Facultés Universitaires Saint-Louis and Universiteit Utrecht. The annual International Criminal Court summer school at the Irish Centre for Human Rights is the premiere summer school specializing on the International Criminal Court. The summer school allows participants to attend a series of intensive lectures over five days. The lectures are given by leading academics on the subject and by legal professionals working at the International Criminal Court. The summer school is attended by legal professionals, academics, postgraduate students and NGOs. Participants are provided with a detailed working knowledge of the establishment of the Court, its structures and operations, and the applicable law. Participants are also given the opportunity to network with the speakers throughout the week. Lectures also speak about related issues in international criminal law, including: genocide, war crimes, crimes against humanity, the crime of aggression, universal jurisdiction, immunities and the role of victims. For more information and to register please visit our the Irish Centre for Human Rights' website at or send an e-mail to iccsummerschool@gmail.com. Following the success of the last seven years in Venice and Galway, this is the fourth year that this summer school is hosted in Galway jointly by the Irish Centre for Human Rights and the Huston School of Film & Digital Media, NUIG. Elements of the summer school include information on the fundamentals of human rights, how to raise awareness of human rights on camera, the development of ideas and how these ideas should be pitched. This year’s programme will feature the Human Rights Cinema Event on 5 and 6 July, organized in collaboration with Amnesty International, Ireland and Galway One World Centre, in order to give participants the chance to assist human rights films which forms a basis for critical discussion. Deadline for application is 30 April 2013. For faculty and speakers, this year's program, and more information please visit www.chra.ie or send an e-mail to info@chra.ie.